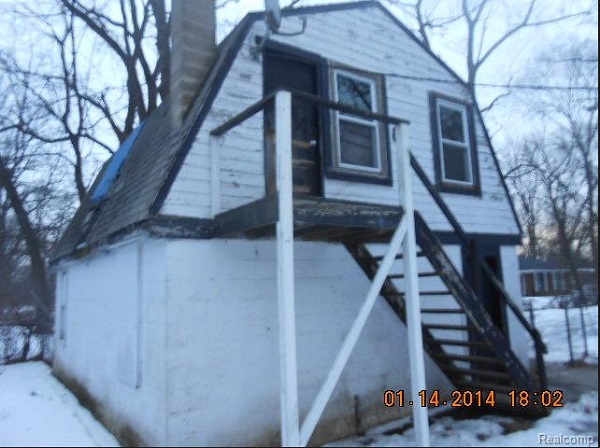 This 1,109 square foot, three-bedroom, two-bathroom home was foreclosed upon by its previous owners, and is now for sale for just $36,000. It lies near the far northwest corner of Detroit in what was once Redford Township, until being annexed by the city in 1926. In true suburban style, some of these streets have no sidewalks, and mail is delivered to curbside mailboxes. This area used to be owned by the Riverford Hills Land Company, whose offices were in the Vinton Building in downtown Detroit. 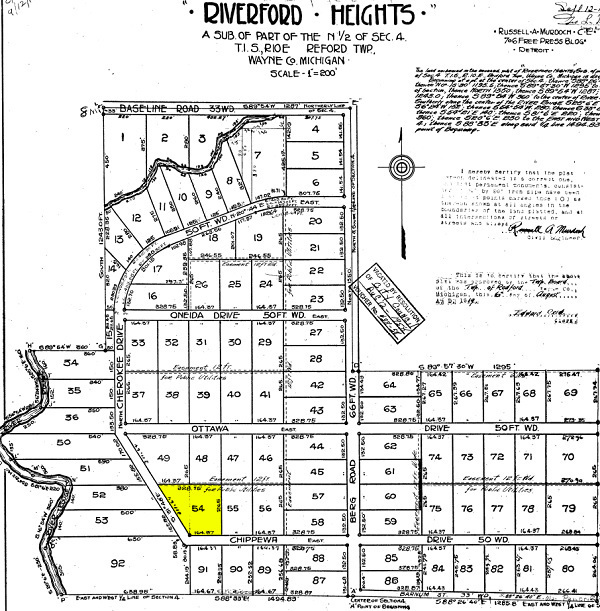 This subdivision, adjacent to the River Rouge, was platted in 1919 and named Riverford Heights. 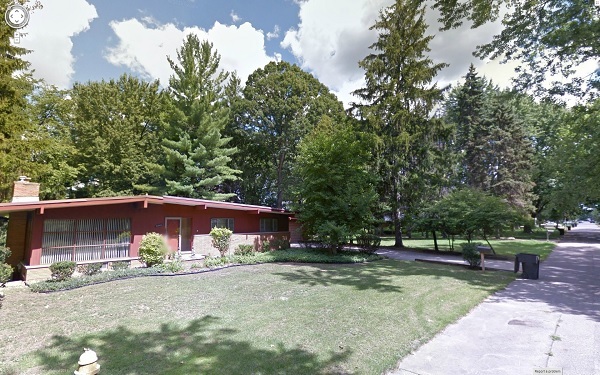 According to the real estate listing, the house was built in 1935 on lot number 54 of the subdivision. 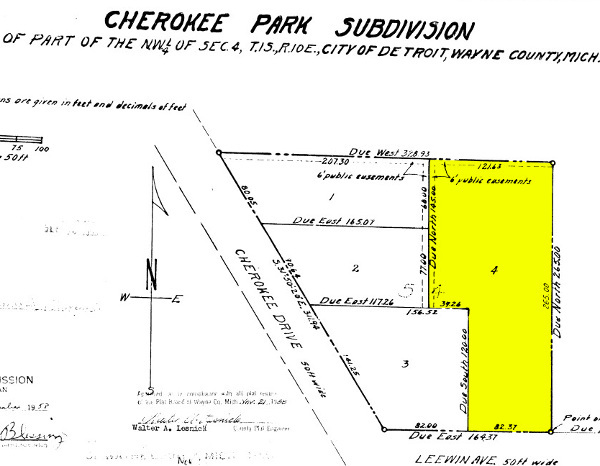 In 1958, this large lot was divided into four smaller ones. 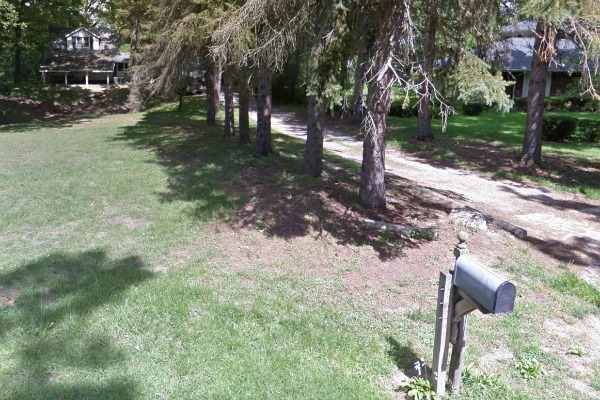 The house--clearly a fixer-upper--lies towards the back of the 265-foot-deep lot, at the end of a pine-tree-lined driveway. 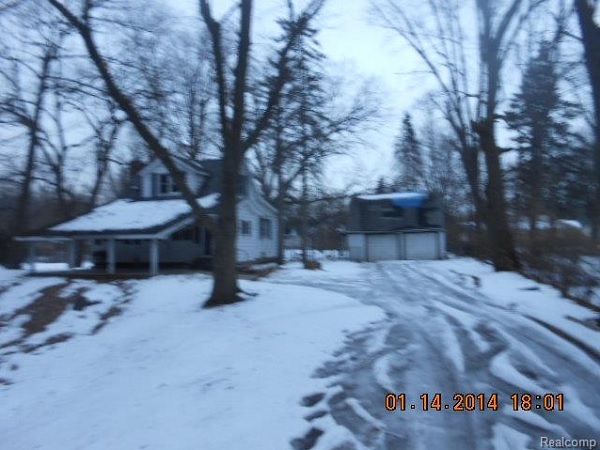 It comes with a garage with a Dutch gambrel roof and apparently some sort of work or living space above. This city is a war zone.